Windmills in the background, a narrow strip of tarmac with valleys on both sides, and a great stillness in the air. Then the large shape of the white and orange SuperXUV blasts through the fog, throwing up a few stones here and there, leaving the hills reverberating with the roar of that loud diesel motor. 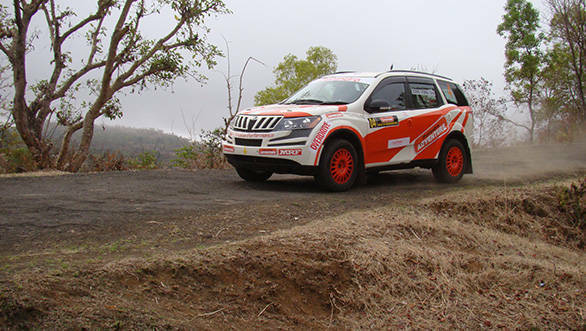 When the official timings are checked at the end of the first Special Stage on the Saturday, the results show that Gaurav Gill and Musa Sheriff are leading the rally in that very SuperXUV, displaying extremely good form for Mahindra Adventure's Rally team. Good form that they manage to continue all through the rally, ending up the fastest of all cars when the rally comes to a close. Of course, another point of interest at the Nashik Rally specifically was the IRC category that features imported cars that are homologated according to the FIA Group N spec, or features foreign drivers piloting Indian cars. There were two entries in this category, one being Sumit Panjabi in a Cedia and the other in the form of Karamjit Singh (co-driven by Jagdev Singh) contesting in a Volkswagen Polo. Given that Karamjit Singh is the Flying Sikh, and given that he's won the Production World Rally Championship in the past, there was simply no stopping him from stamping his authority all over the category. 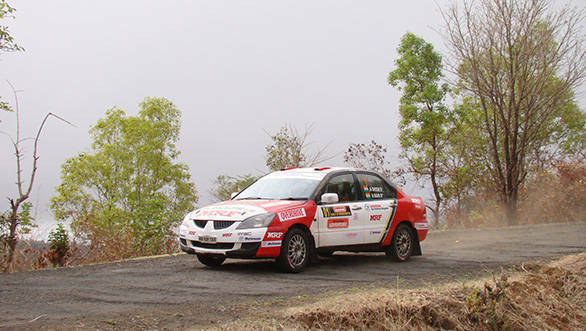 Rally fans will also be glad to know that Singh is very likely to compete in the entire 2013 season of the INRC. 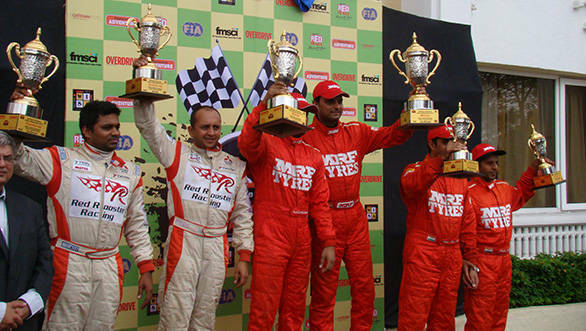 The rallying circus now heads to Coimbatore for the third round of the championship between July 19-21.